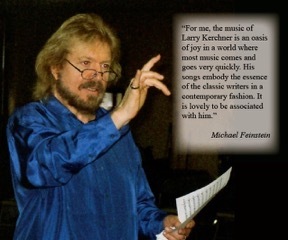 Larry Kerchner is a composer, lyricist, arranger and producer with years of experience in the music industry, having received his extensive musical education at Berklee College of Music and the Boston Conservatory of Music. He is a voting member of THE RECORDING ACADEMY and is a two-time GRAMMY Award nominee, a member of ASCAP, the MANHATTAN ASSOCIATIONS OF CLUBS AND CABARETS (MAC), and has served on the Board of Directors of the DUKE ELLINGTON CENTER FOR THE ARTS. On Broadway, he has produced a series of outstanding shows of his compositions entitled HIDDEN TREASURES to critical and popular success, with rave reviews from the New York press. Larry has performed in, composed and arranged for stage, nightclubs, arena shows, concerts, theatre, film, television and symphony halls. He has been the behind-the-scenes writing force for many well-know Broadway and television shows and recordings through his numerous works-for-hire, including Home from Broadway’s THE WIZ, and the theme for the film, Somewhere In Time. His songs have been performed by some of America’s leading artists including Michael Feinstein, Marilyn Maye, Laurel Massé, Jill O’Hara, Billy Stritch, Sal Viviano, KT Sullivan, Amra-Faye Wright, Raissa Katona-Bennett, Carole J. Bufford, John Bolton, Shana Farr, Nina Hennessy, Alexis Cole, Marissa Mulder, Stacy Sullivan, LaTonya Hall, Mark Nadler, Eric Michael Gillett, Natalie Douglas, Hilary Kole, Karen Oberlin, Peter Lemongello, and many other Broadway performers and cabaret artists. He is a recent winner of the 2013 CONCERTS FOR CITY GREENS SONGWRITING COMPETITION with his haunting ballad, Winter In Manhattan, praised by New York Times entertainment critic, Stephen Holden, as, “A soft-focus cityscape of New York, and a fresh addition to the Great American Songbook,” and sung by Michael Feinstein in his annual Holiday show at New York’s Loews Regency. His most recent song, Sinatra, co-written with Hubert “Tex” Arnold, premiered at the world-famous BLUE NOTE jazz club last July, performed by Joe Gransden and his Big Band to a rousing and enthusiastic audience. Additionally, he has arranged and composed for numerous musical aggregations ranging from THE RINGLING BROS. and BARNUM & BAILEY CIRCUS and the BIRDLAND BIG BAND to the WASHINGTON POPS SYMPHONY AND CHORUS, and has written over 300 published arrangements and compositions in the educational market. He has several television and radio commercials to his credit – McDONALD’S and ARTHUR TREACHER’S FISH & CHIPS among many others. 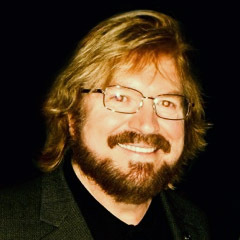 He has conducted his music on THE TONIGHT SHOW, the MIKE DOUGLAS SHOW, THE MERV GRIFFIN SHOW, the JERRY LEWIS MUSCULAR DYSTROPHY TELETHON, the PAUL ANKA CEREBRAL PALSY TELETHON, and in venues such as the COPACABANA, WESTBURY MUSIC FAIR, the WALDORF-ASTORIA and HARRAH’s in Las Vegas, Reno and Lake Tahoe. His musical talents have additionally been acknowledged with his induction into both the DRUM CORPS INTERNATIONAL HALL OF FAME and the WORLD DRUM CORPS HALL OF FAME. We are proud to represent Mr. Kerchner in all media and welcome inquiries for his commissions and available catalog of music in all genres.